Jambler.io allows you to make money on selling output transactions from cryptocurrency stock exchanges. The platform offers the possibility of a short-term investment at 1% with an average turnaround time of 12 hours. People buy transactions all the time, thus, any person can earn up to 34% per month with Jambler.io. Check out the video to learn the investing process with Jambler.io. You can also find sign-up instructions on How to page. How does Jambler interact with Sellers? Sign in having specified your Jabber or Telegram account to receive the information on your investment status and attractive offers from the platform (demand for a digital currency) which can help to make easy money. Jambler.io does not request your personal data in order to protect your anonymity. The only thing you will need to specify in your personal account on the website is an address for return of your investments. Notwithstanding that an average time of return on investment is 12 hours, return on investment is possible in 1-2 hours if demand is high. So what is the investment process with Jambler.io like? Let’s take a look at the whole process on the scheme. A seller forms a request to the platform in the personal account. For this purpose a seller just specifies an address for Bitcoin return. Jambler.io provides a seller with a digitally signed letter of guarantee (PGP signature) and a Bitcoin payment address. A time slot during which the investor shall send a transaction in order it can get in processing of a current request, is specified in the letter. Otherwise, the transaction will be used for processing of subsequent customer requests of the platform which may result in extension of terms of money repayment to the investor. An investor withdraws funds from the cryptocurrency stock exchange account to the platform address specified in the letter of guarantee. To eliminate risks of getting a cryptocurrency of questionable origin, all Bitcoins are checked by the platform scoring system (including blockchain analysis). Transactions which have passed the check, get into the system and transaction which have failed the check, are returned to a customer from the same wallet with a deduction of commission fee of the platform and Bitcoin network for a transaction (0,2% +0,00001 BTC). This stage makes it possible to terminate attempts of unfair investors to use an investment admittance as a mixer in order to clear their money and gain profit at the same time. Jambler.io does not capitalize on return of cryptocoins which haven’t passed the scoring check, it is a necessary security measure. 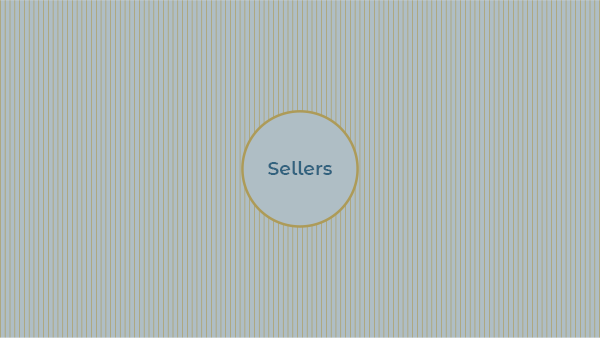 The funds from sellers received by the platform, are collected by pot 1 and sent to end customers via partner mixers. Sellers get their money plus a bonus from pot 2. The platform sends to sellers Telegram and Jabber notifications on their investment status and attractive offers from Jambler.io when a high demand allows to turn money around in 1-2 hours. 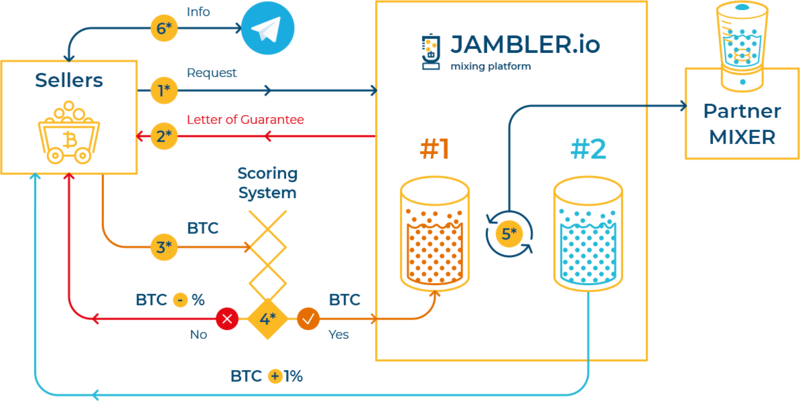 As you can see, the scheme of interaction with sellers is simple and transparent and enables you to make money with Jambler.io on selling output transactions up to 34% per month. Follow the link to download a public key to verify the letters of guarantee provided by the platform.